The Volvo XC60 midsize crossover accounted for 31 percent of Volvo's U.S. sales in August. WASHINGTON -- Volvo Cars has asked the Trump administration to exempt the company's Chinese-made XC60 midsize crossover from new 25 percent tariffs, the latest automaker to seek relief from new levies on imports from China. Earlier this week, Volvo Cars and its Chinese owner Geely postponed plans to float shares in the Swedish automaker, blaming trade tensions and a downturn in automotive stocks. 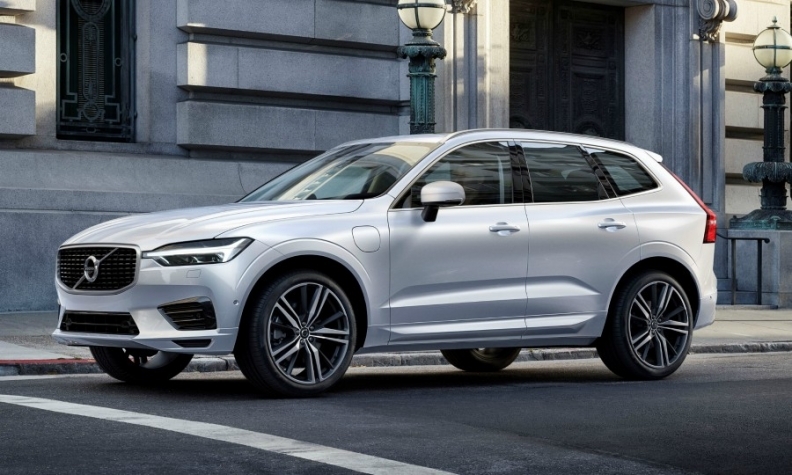 Volvo recently started commercial production at its new Charleston, South Carolina, plant, where it is building S60 sedans, it told USTR, "but over time given our global manufacturing footprint we could also anticipate production of the XC60 in the U.S. as well." Volvo cited General Motors' July 30 request seeking an exemption for its Chinese-made Buick Envision SUV in its petition. GM's petition suggested a cap of 40,000 vehicles that could be exempted while Volvo suggested that the government not impose any cap. GM told USTR Envision sales in China and the United States would generate funds "to invest in our U.S. manufacturing facilities and to develop the next generation of automotive technology in the United States." Geely, which paid Ford Motor $1.8 billion for Volvo in 2010, also has stakes in Mercedes-Benz parent Daimler, truckmaker AB Volvo and Lotus.